There are some foods that cause acne, and even some that can help you keep it away. Acne is one of those conditions that everyone has been touched by at one point in their life. Everyone has either had to deal with bouts of acne themselves or they have known others in their life who have. While there are some people who believe what we eat has nothing to do with whether or not we have acne, there are others, including those in medical research, who say otherwise. Knowing which foods may lead to a breakout can help keep your skin looking and feeling great! Food plays such an important and common role in our daily lives that it only stands to reason that there would be a connection between what we are eating and how our skin appears. Food plays such an important and common role in our daily lives that it only stands to reason that there would be a connection between what we are eating and how our skin appears. Long before research was being conducted on the issue, people suspected that there were particular foods that would cause acne. While there is some research that has claimed to debunk the idea or myth of foods playing a role in one’s acne issues, there is plenty of other research that says otherwise. If you or someone you know is fighting a battle against acne, you will want to know about foods that cause acne, so you can help avoid or keep them to a minimum. Milk may be something that people take for granted, drinking it down daily without giving it a second thought. However, it may be problematic for some people. For those who already have acne they will want to especially take notice of this one. Researchers in the Polish peer-reviewed journal Pol Merkur Lekarski, reported that some investigations show an association between acne and diet. They report that milk is one of the foods that cause acne. Milk increases the insulin-like growth factor-1, otherwise called IGF-1, which in turn ultimately leads to the production of sebum. Sebum is the oil substance made by the glands under the skin. According to the National Institute of Arthritis and Skeletal and Skin Diseases, acne becomes visible when the pores in the skin become clumped together with sebum, hair, and skin cells and it forms a plug. A pimple grows when the plug starts breaking down. Milk being on the list may not be a surprise to many people, because it has long been suspected by people as a culprit in helping to increase acne. If you are going to eat dairy products, try to limit them, especially if you already have acne. Takeaway: Researchers believe that consuming dairy products can lead to the production of more sebum, which can lead to more clogged pores and acne. Reduce your consumption of milk products in order to help avoid the risk and keep your pores healthier. The same study that reported that milk is one of the foods that cause acne also pointed the finger at chocolate. Of course this is much to the dismay of chocolate lovers everywhere. Few things can put a smile on one’s face like some tasty chocolate can, but that smile can quickly fade and leave people unhappy if it does actually lead to more acne. The Polish researchers reported that eating chocolate can aggravate acne, because it predisposes people to hyperglycemia and insulinemia. Another study conducted in the Netherlands supported the idea that chocolate aggravates acne, reporting that this results when chocolate changes the immune system. It may be difficult for some people to avoid chocolate, because it can be so tempting. If you want to keep acne at bay, however, you may want to limit the amount of chocolate you eat. 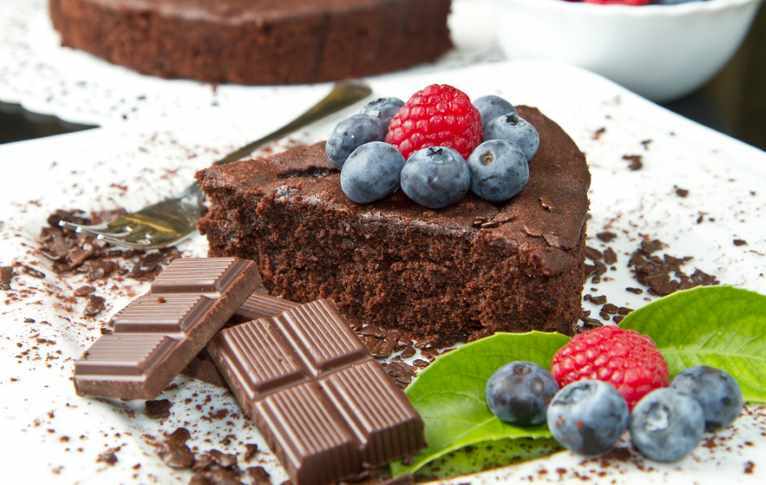 Takeaway: Chocolate lovers may want to revolt, but research shows that the tasty treat can aggravate acne conditions. This is important for those who already have acne, because without realizing it their snack may make it even worse. It may be difficult for some people to avoid chocolate, because it can be so tempting. If you want to keep acne at bay, however, you may want to limit the amount of chocolate you eat. There are many people who say that carbs get a bad rap, and maybe there are times that it does. But it’s difficult to look at foods that cause acne and not mention the connection that carbohydrates have. In a research article published in the Journal of Drugs in Dermatology, researchers reported that when it comes to diet and acne, carbs are the main culprit. In their research, they set out to answer the question of whether or not acne is nature or nurture. 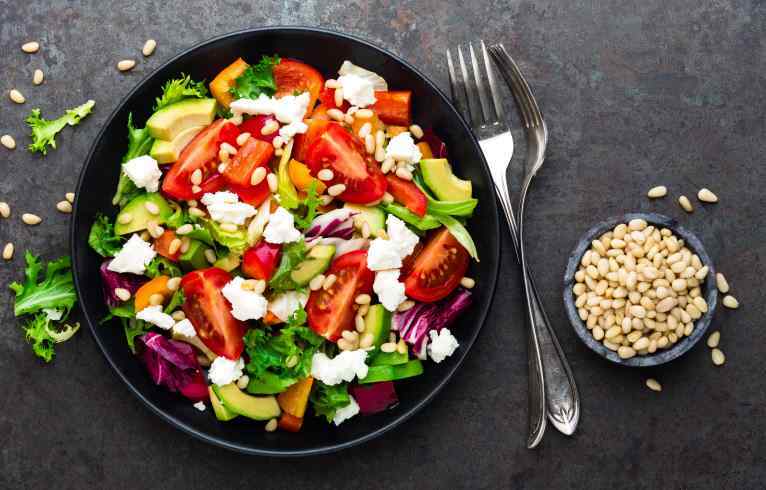 While pointing out that genetics can play a large role in acne, they believe there have been no significant genetic variants in the last couple of decades, so they felt they had to look at environmental factors, including one’s diet. Based on their data, they advised that dermatologists should encourage their acne patients to keep high-glycemic foods to a minimum. So what exactly is included on the high-glycemic foods list? A lot of things that people love to eat, for starters! According to Harvard Medical School, some of the highest carbohydrate foods include breads, rolls, tortillas, rice, noodles, potatoes, and couscous. Many breakfast foods are also considered to be high-carb foods that cause acne, including some cereals, rolled oats, porridge, and muesli. If you are sighing at the thought of giving up the high-carbohydrate foods, you are not alone. Many comfort foods just so happen to also be high-carb foods, so they tend to be favorites for many people. You don’t have to give them up completely, but minimize how often you eat them. You can also look for lower carbohydrate versions of these foods so that you can still have your bread and other products, but will be eating less carbs. Takeaway: Carbohydrates may be convenient and comfort foods for many, but there are researchers who believe they are the culprit when it comes to a dietary item increasing acne. When it comes to foods that will give you acne, opt for lower-carb foods to help reduce the blemishes. A lot of people tend to consume quite a bit of vegetable oil today, which contains unhealthy fats. In fact, we don’t even always realize that we are doing it. If we were pouring it from a bottle we would be more aware, but we tend to get the oils in foods that are already prepared, not realizing how much we are consuming. What we are learning, however, is that unhealthy fats are one of the foods that cause acne. Omega-6 fatty acids are found in a lot of foods that are considered unhealthy, such as processed meats, potato chips, and pizza. When we consume a lot of omega-6 fatty acids, it causes inflammation in the body. It is important that we are balancing the omega-6 fatty acids by getting enough omega-3 fatty acids, because they tend to reduce inflammation. We often get way too much omega-6 fatty acids and not nearly enough omega-3 fatty acids. This imbalance leads to inflammation, which is believed to increase the likelihood of acne. You can easily increase your omega-3 fatty acid intake to help balance out the amount of omega-6 you are consuming (although it’s healthy to also aim to reduce the amount of omega-6 fatty acids in your diet). To get more omega-3 fatty acids in your diet, include foods that are high in them. According to the National Institutes of Health, some of the best food sources of omega-3 fatty acids include flaxseed, chia seed, English walnuts, fish, seafood, and eggs. Keep in mind that it is unhealthy fats that are problematic and are one of the foods that cause acne. There are healthy sources of fats, such as avocadoes, fatty fish, nuts, and eggs that are beneficial to your health, and they are not the foods that cause acne. Takeaway: As if you needed one more good reason to give up unhealthy fats, acne may be the one that motivates change. Not all fats are created equal, and the unhealthy ones can cause inflammation that can lead to more acne. Opt for foods with healthy fats and help balance out your omega-6 fatty acid intake by increasing your omega-3 fatty acid intake. Plant-based foods can play an important role in helping you to avoid acne. Mom was right when she said to eat your veggies! There are many signs that point to the fact that by eating a healthy diet you can help to reduce acne outbreaks. This is especially true when it comes to foods that cause acne. Not only are fruits and vegetables loaded with antioxidants that help to protect your body, but they also help to change your gut microbiome for the better. In research published in the International Journal of Molecular Science, researchers explored how plant-based foods and supplements can help to control acne. They explored how the gut microbiome provides feedback between the foods that we eat and our bodies. It’s also important when it comes to inflammation. What they report is that a diet rich with plant-based foods and low in processed foods is linked to improvement of acne. They believe this is a result of the plant-based foods having a beneficial impact on the gut microbiome. They even concluded that the plant-based foods may be a viable first option to offer those with acne issues, rather than the usual first options, which include antibiotics. There are many plant-based foods, which include fruits, vegetables, and whole grains. Some may provide you with more skin-protecting nutrients, so you may want to be sure to get more of those particular varieties. Some of the best plant-based foods that can help to protect your skin include avocadoes, walnuts, sweet potatoes, bell peppers, broccoli, tomatoes, and soy. Many of these plant-based foods contain such nutrients as vitamin E, zinc, essential fatty acids, beta carotene, vitamin C, and lycopene. It’s also a good idea to use the spice turmeric, which has anti-inflammatory properties. These nutrients have wonderful ways of helping to keep your skin in a healthy condition and will help keep you from filling up on foods that cause acne. As an added benefit, you will helping your body to get healthier in other ways, too. 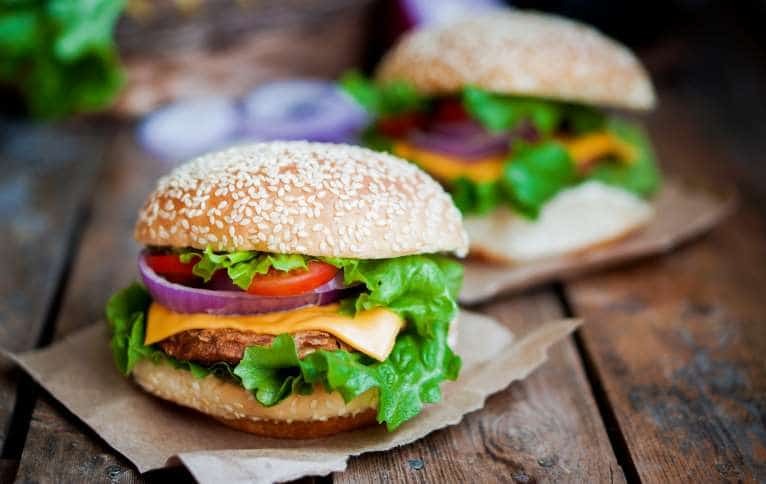 Increasing consumption of plant-based foods has been link helping to combat obesity, reduce heart disease risks, and help to avoid some types of cancer. Take Away: Plant-based foods, especially fruits and vegetables, play an important role in not only helping to keep your body healthy, but also your skin. They are loaded with micronutrients, antioxidants, and phytochemicals, all of which will help protect your skin in a variety of ways. Eating healthy plant-based foods also changes your gut microbiome in beneficial ways, helping to reduce acne. Around the world, people drink a lot of tea. In fact, it’s considered to be the second-most popular beverage that people consume. It’s important when considering how foods impact acne that you look at the ones that combat it, too. The good news for those with acne is that green tea may help their condition. A study published in the journal Antioxidants reported the findings of their study that was conducted to see if green tea helped reduce acne. What makes green tea so powerful are the polyphenols that it contains, which are also found in nuts and fruits, among other things. The great thing about polyphenols is that they have properties that are anti-inflammatory, antimicrobial, and antineoplastic, which inhibit the growth of tumors. The researchers put green tea to the test to see if it helped reduce or eliminate acne. What they found is that the green tea polyphenols were effective at reducing the amount of sebum that was produced. Too much sebum being produced, as mentioned earlier, can lead to the pores becoming plugged, which leads to an increase in acne. They also found that the green tea was effective in helping to improve the severity of one’s acne. For those who are looking for something healthy to drink each day, especially when trying to combat foods that cause acne, they may want to opt for green tea. By consuming green tea, you will be providing your body with the polyphenols that will help to reduce sebum production, thus helping to reduce acne. One thing to keep in mind, though, is to not load up your tea with sugar, or you may end up losing the benefits and having other issues as a result of the excess in added sugar intake. If you have tried green tea and don’t care for the taste, look for one that has a fruit flavor added to it, such as blueberry green tea. Takeaway: Green tea is a healthy beverage that provides your body with beneficial polyphenols, which help to reduce the amount of sebum being produced. With sebum production reduced, you can sip your green tea and feel good knowing that you have a tasty beverage and are helping to combat acne. You want to avoid or reduce the consumption of foods that cause acne, but you don’t want to become overwhelmed by the process. Don’t shy away from making some changes out of fear of there being so many foods that may worsen acne that you need to avoid. Even making small changes in your diet can make a big difference. Start by picking a few of the foods that make acne worse to avoid or reduce in your diet. See what difference it makes, and then continue to make more adjustments as you go along. Swap out some of the foods that cause acne with healthier versions, so that you will not feel like you are making drastic changes to your diet. For example, if you like to eat bread and crackers, look for ones that are low-carb to swap them out with. This will help reduce the amount of foods that cause acne, but you will still feel like it is close to your normal diet, so you won’t be that far out of your comfort zone when it comes to eating. Creating a more healthy gut microbiome can help to reduce acne. You can do that by eating more plant-based foods, as mentioned above, but you can also help do it by taking probiotics. Adding a daily probiotic to your routine may give your gut microbiome the beneficial changes it needs to help reduce acne. Most acne can be treated with the gentle, consistent care of an acne treatment system like Exposed Skincare. In addition to helping to combat and avoid acne through diet, you can speed up the acne removal process by trying one of the best products on the market. One of the most effective and highly recommended products for acne treatment is Exposed. Nearly everyone who has used Exposed Skin Care products to help fight acne has seen beneficial results within one month. The skin care line uses powerful natural additives to help get rid of the acne, without drying out the skin. Made from a calming herbal blend, it gets rid of current acne and helps to create beautiful skin. Not only does the product have an outstanding reputation for getting rid of acne, but the company also offers a full year guarantee with purchase, so you essentially have nothing to lose and beautiful acne-free skin to gain. Exposed, along with the changes in your diet, can quickly help you get rid of acne and love your skin again. Q. Are there foods that cause people to get acne? A. While there are some skeptics, there are plenty of researchers and professionals who believe there are particular foods that can make acne worse. This is due to the fact that some foods may have a negative impact on gut microbiome, lead to more sebum production, and negatively impact the immune system, etc. Q. What are some of the most common foods that cause acne? A. There has been research that has shown some of the foods most commonly connected with an increase in acne include milk, chocolate, unhealthy fats, and refined carbohydrates. Unhealthy fats linked to acne include those containing omega-6 fatty acids, such as vegetable oil, and those found in processed meats, potato chips, and pizza. Q. Are there foods that help to reduce or heal acne? A. Yes, there are foods that are believed to help reduce or heal acne. These foods include plant-based foods, such as colorful fruits and vegetables, as well as green tea, which is high in polyphenols and helps to reduce the production of sebum. Q. Do greasy foods cause acne? A. Greasy foods have been linked to causing acne due to the unhealthy fats that are used. The unhealthy fats increase inflammation. It’s important to reduce the consumption of unhealthy fats, and help balance them out by getting more omega-3 fatty acids in our diet. Am in africa Ghana am 17 years old and am a male acne are all over my face and also there is too much oil on ma face as well my face keeps on swelling and a yellowish juice do appear when ever i press them pls what do i intend to do in other to help cure my acne and also to avoid oil from kamin on my face? Do what I did for about a week. Drink lots of Black coffee with no sugar and no milk. Fast every 3 days. Eat only Vegetables and beans, and you will see a difference. the yellow juice is called pus. It can be caused by inflammation. I would recommend going to a dermatologist because i suffer the same too. My dermatologist prescribed mr some tropical and oral medication which helped me. Stay away from SUGAR!! About soybeans: soybeans in the shell are called edamame, not edema. Shelled soybeans are called mukimame. Edema is the medical term for swelling. You might want to correct that in this article. This is one of the best articles I have ever read on acne - many fail to give accurate information, this one is brilliant and explains 20 years of pain for me (aswell as several years of recent success in abolishing what I once thought I would be stuck with for the rest of my life after suffering terrible acne). A recent outbreak led me to googling and took me to this article - and it fits exactly - I have been binging on coffee and dark chocolate since Christmas and my skin is oilier than it has been for several years. I gave up crisps and chocolate a few years ago and my acne all but disappeared. Time to cut down on dark chocolate and coffee. Thankyou very much. I second every word Peter just said. I just read this article after reading yours. It is titled 'Get Rid of Acne With These 10+ Food' s' -- by Health with Food.org ........ it referenced Health Benefits of Eating Carrots. It states the following: "Basically that Vitamin A in carrots regulates sebum" , It doesn't increase sebum. Vitamin A is the natural version of Retin A, often used as an acne treatment. The article doesn't differentiate between raw or cooked. So my question is, Are you saying that raw is good, but cooked is bad?If so Why, Maybe it is that when you cook carrots the natural sugars in carrots become stronger and affect the acne. Of course that is just my reasoning if both your article and their article is correct. I really wish I knew which statement is more true. Any ways below is the part of the article I am referencing. Paragraph from article below ----------> "Most people know that carrots aid eyesight, but did you know that they can also be great for treating acne? These low glycemic veggies are one of the best sources of beta-carotene, which can be converted to vitamin A in the body (Note: some people have a genetic variation that may hinder beta-carotene conversion). Vitamin A has been shown to exert positive effects on acne sufferers, probably due to its ability to affect the inflammatory aspects of acne. Vitamin A is also thought to regulate sebum production. Further, carrots are believed to have detoxifying properties and to enhance the immune system which allows your body both to fight acne before pimples occur and to help you skin recover from an acne breakout. Aside from their acne fighting properties, carrots also offer a number of other health benefits (for more information, see the article on the Health Benefits of Eating Carrots)." article in Health with Food.org Also, I have read more than 1 article that states All dairy, (milk, cheese, butter) are bad for acne and will have a tendency to worsen the breakouts because they are higher on the glycemic index, which can cause our sugars to not process properly which then causes a peak in our insulin which causes a hormone fluctuation. The more I read, the more confusing. No wonder acne is still an issue. Hi John. I'm currently using Avene skin products, recently I bought a Neutrogena "Oil-Free Acne Wash Daily Scrub". I'm not sure if it's actually working, but should I exfoliate my face daily with this product or any at all? Types of foods definitely plays a significant aspect to the health and well being of skin care. Especially diary and high omega 6's oils.